I am continuing my way through a 360-degree video short course. While the first lessons offered more of an overview about virtual reality and 360-degree video, these more recent lessons moved into pre-production and gear possibilities (which is the best part, right?). Here are 11 more takeaways from the recent lessons. 1. The audience must come first. In creating any traditional media text, including film and television, the audience should come first. (With so many Hollywood sequels, though, you have to wonder whom they’re making all those for anymore.) But with virtual reality and 360-degree video, the audience must come first. What do you want them to take away from the video? Do you want them to experience something new? Do you want to immerse them into a story? What do you want them to be able to do as part of the experience? What might they do anyway, despite your attempts at direction? 2. To be there, or not to be there. Presence is what separates 360-degree video and other virtual reality experiences from other media. Presence offers that sense of “being there” in that (virtual) space and in that (virtual) moment. Users must play some kind of active role in the experience, and it should be clear what role they have and what they can do. That role can be first person (where users are a character) or third person (where users are an observer). 3. Space plays a leading role as well. Not as in space, the final frontier. Though geography and other academic fields define space and place with more precision and depth, space for our purposes refers to any bounded area such as a living room, a city block, or a national park. The details in each of these spaces offer opportunities for storytelling and teaching audiences, and creators should put them to good use. 4. But the background, not so much. In 360-degree video, the background fades, well, into the background. Details in the background appear far away and thus often are overlooked in favor of closer details and closer motion. 5. Skip Freytag’s pyramid and other three-act structures. The fun of 360-video for users is their ability to engage videos on their own terms. The dramatic arcs of fiction and even nonfiction that borrows those same arcs often fail in 360-video because users need not follow a linear progression through the video. Users might overlook or not even see key details that unlock a plot point or create dramatic tension, thus disrupting the fun of the video. 6. Use dialogue and voiceover strategically and concisely. Just as users may overlook key details in plots, they also may miss key details in conversations. Extended conversations do not work well in this format in part because so many distractions and sensory stimuli exist within the space. A long 360-video that consists entirely of voiceover narration would not be engaging. Similarly, too many in-video titles can be boring. Who wants to read while wearing a headset? Traditional video offers multiple opportunities for guiding viewers’ attention — editing transitions, still shot framing, camera movements. With 360-degree video, you have to let most of that go. If the camera captures a littered sidewalk as part of your scene, then you cannot prevent your audience from looking down and counting the candy wrappers in the dirty snow. 8. Use a storyboard to mimic the user experience. Everything comes back to the user, their presence, and not breaking that presence in 360-degree video. Yet, so many things can interfere with that illusion — misplaced objects in the scene, revealed equipment in the frame, disappearing speakers in the stitch lines, and many more. Creating a storyboard, particularly from an overhead perspective, can help with planning the user experience and seeing what works and what causes challenges in production. The shaky camera of cinema verite documentary was cool for its time. It created some excitement because of the freedom it represented to go behind the scenes and get closer to participants, usually famous musicians and other celebrities. Shaky camera in 360-video can cause quite a different reaction: making the user sick. Please don’t do that. 10. The equipment depends on your purpose. With any equipment, it might be tempting to purchase the most expensive 360-degree camera you can buy and play with that. But, in all seriousness, what are you going to use it for? 360-degree cameras can run a couple hundred dollars and attach to your smart phone, or they can run $60,000 dollars and require a separate computer setup just to run. Figure out what you want to use it for before shelling out the cash. 11. The human eye is about 16K pixel equivalent. 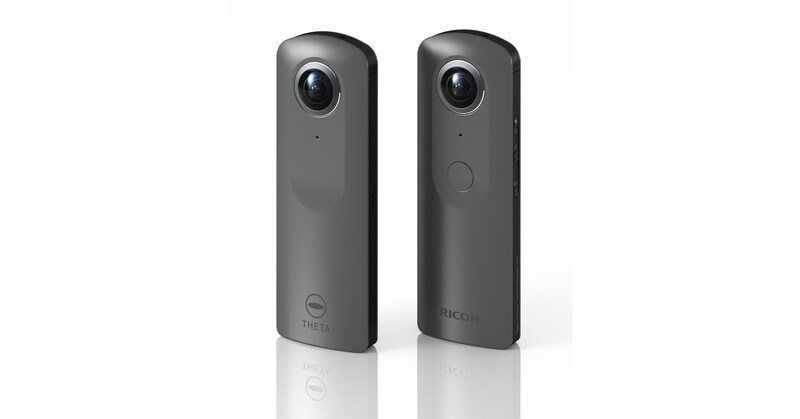 Most 360-degree cameras, even the lower priced ones, record in 4K video. Many platforms, including Vimeo, YouTube, and Oculus, also support 4K video. With 8K televisions becoming more available and starting to come down in price, that new standard will be here before we know it. But the 16K fact struck me as interesting. How long before that becomes the standard on smart phones and other consumer devices? When it does, what will become the next spectacle since it would mimic how most of us already see?